Opinions have been divided on interior minister Katri Raik's (SDE) proposal to give stateless persons in Estonia the chance to obtain citizenship under simplified rules, including opposition from some of own party members. 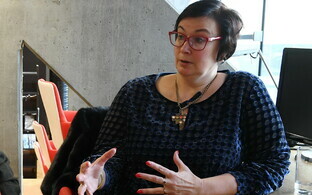 Ms Raik told daily Eesti Päevaleht in an interview published Monday that Estonia should offer citizenship under simplified rules to all stateless persons who have lived in Estonia since 1991. Around 70,000 mostly Russian-speaking stateless persons live in Estonia, often called ''grey passport'' holders after the colour of the travel document issued to them. "In my opinion it would be worthwhile after the elections discussing whether we should initiate a movement such as a 'window of citizenship','' said Ms Raik in the interview. ''Shouldn't those who have lived in Estonia since 1991, with no criminal convictions, who are ready to swear an oath of allegiance to the Estonian state be able to obtain citizenship within one year?'' she asked. ''They would, however, need to apply themselves, since citizenship is not a gift," she continued. She did concede that her ideas weren't official SDE policy, however. "I don't know if we are ready for it. There should be a discussion, however. I can tell you that the Social Democrats are not of one mind over it either," she went on. Foreign minister and SDE board member Sven Mikser was quick to confirm this. "At present, this is not an SDE policy stance nor one planned for the next four years," Mr Mikser said of Ms Raik's proposal. ''This is a personal opinion of Katri Raik, who has lived and worked in East Viru County for a long time and feels concern over these topics, which was expressed in an interview," he told BNS. "Of course, in a sense, this opens the door to a debate on this subject. Statelessness as a phenomenon is something that we shouldn't be having in Estonia on this scale today. But in the Social Democrats' pre-election program and in our other programmatic documents such ideas put forward by Katri in the interview cannot be found," he continued. Politicians from other parties also chimed in on the issue, including Jürgen Ligi and Urmas Paet, both of Reform. Citizenship and the Estonian state are being turned into a sort of merchandise,'' said Mr Ligi, Reform Party Riigikogu group chair and a former minister. ''In [current Centre prime minister Jüri] Ratas' opinion, citizenship has to be given to those who moved into Estonia before 1991...but now the socialists have gone a step further, as they would willingly grant citizenship to those without [command of] Estonian language or the exam for those living here since 1991,'' he went on. At present, those seeking Estonian citizenship who moved here after independence in 1991 must, amongst meeting other criteria, pass a B1 language exam. Urmas Paet MEP (Reform) said that awarding citizenship under these new rules would not be fair towards those who have obtained citizenship after successfully taking the citizenship and Estonian language exams. "We should not forget about the 161,000 people who have applied for and received Estonian citizenship, successfully taking the relevant exam in so doing,'' Mr Paet reportedly wrote on his social media account. ''Thus changing the rules suddenly now would not be fair towards these people as well. Not to mention that 27 years after the restoration of Estonia's independence, the people who live here having basic command of the Estonian language should be taken for granted. With that time whatever language can be learned if there is a wish to do it," he continued. One lone voice who did welcome the initiative was Raimond Kaljulaid (Centre), elder in the North Tallinn city council district. 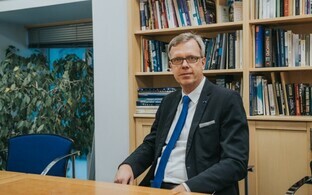 ''If Katri Raik's proposal were to become SDE policy, that would definitely change the political situation in Estonia, as for the Russian voter, to whom this matters most, more alternatives than one will emerge,'' he said, presumably referring to the fact that his own party has long been the party of choice for Russian-speaking voters in Estonia, a situation which is arguably changing. ''It also increases the likelihood that Estonia indeed is able to turn the page in citizenship policy...I am hopeful, considering that many Estonians also think now that this is a topic where the state could be more humane and accept that people who have lived in Estonia for decades and worked and raised their children here deserve equal treatment and equal opportunities," he continued. Katri Raik became interior minister in November after Andres Anvelt stepped down due to health issues. 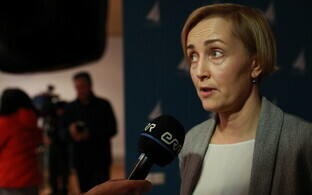 She is head of the Narva College of the University of Tartu, and is top of SDE's candidate list in Ida-Viru County at the general election on 3 March. 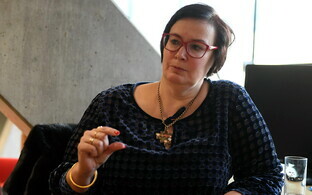 She has spoken at length on the issue of Estonian-ness in Ida-Viru County, and denounced the recent Estonia 200 election poster campaign, which highlighted segregation in society by suggesting Estonians and Russians might have separate waiting spaces at a central Tallinn tram stop, as being reminiscent of Nazi-controlled Germany.